This film is the 8thinstallment of the “Rocky” franchise and in the original films, the story was focused on Rocky Balboa (Sylvester Stallone) who came from humble beginnings and eventually rose above life’s obstacles to become the world heavyweight champion of the boxing world. It was truly Adonis’s revenge for his father’s death versus Viktor’s redemption for acceptance in Russia. The film captured the true essence of love, heartbreak, and compassion with such riveting emotional scenes. 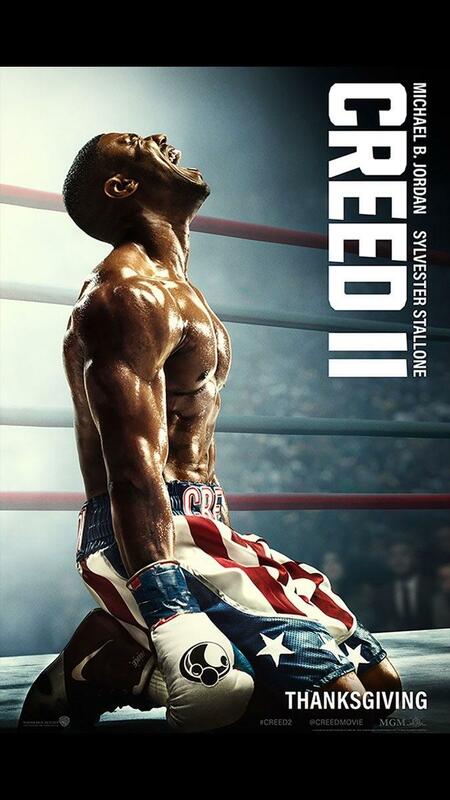 Adonis Creed is still in anguish over his father’s death when he often goes back and watches the match between Ivan Drago and Apollo Creed. Perhaps, he uses the reminiscing to light a fire within him to finish what his father started. Adonis feels the pain from the match that coursed throughout his aching body as he gingerly stepped into the pool that he trained in. As the nagging pain and frustration clouded his brain, he descended to the bottom of the pool and sat still on the ceramic floor. He let his emotions go as he screamed at the top of his lungs that were muffled from the water. Not only were there such enthralling scenes like this one that could bring one to the edge of their seat or to the brink of tears, but there was also a moving soundtrack to the film that was composed by Ludwig Gӧransson. Just the music alone can illustrate how the character was feeling at the time of frustration, sadness, or joy without any words being spoken. One piece in particular, “It’s Your Time Now”, blended into the scene so beautifully that it felt as if you were right there in the ring with Rocky and Adonis during their heart-to-heart engagement after Adonis’s fight with Viktor. It was also one of the few that have the same sound as Bill Conti’s awe-inspiring songs he produced for the earlier “Rocky” films. It has the potential to inspire younger generations to fight for everything they dream of no matter what is put in front of them. Rocky portrayed that belief and so did Adonis when he lifted himself up off the ground whenever he got knocked down whether it was from his relationship with Bianca Porter (Tessa Thompson), or from his grueling training sessions. It’s been said that if a movie can strike someone’s emotions so greatly, then that movie can live on forever. The entire “Rocky” franchise are classics that have lived on through generations and will continue to do so. “Creed II” is no exception to that fact because it added onto that rich history with its cinematic excellence.